The search for housing is a priority for foreign students. Many options exist and include the Crous residence, private or university residence, sharing, colocation, homestay with a family or intergenerational home sharing. 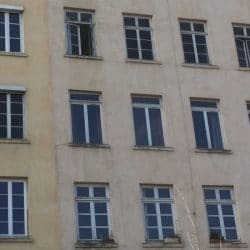 It is not easy to find housing in Lyon as a student and there are many reasons for this. The first reason deals with demand. The demand for student housing in Lyon exceeds the availability of apartments and other types of housing. Second, students often do not spend a full year in Lyon but only a semester. Often, owners or student residences reserve their units for students who rent year round. The third reason has to do with having a French guarantor who commits to paying the rent in case the student faces financial difficulties. CROUS is the acronym of Centre Regional des Oeuvres Universitaires et Scolaires (Regional centre for university and scholarly works). Le Crous offers housing to students. You need to pay attention to the registration dates as since the period that you can apply to the CROUS does not always correspond your arrival in France. The evaluation criteria are relatively straightforward. Students need to prove that they are registered in an institute of higher learning. It is not necessary to have a scholarship or grant. The request can be done online on the website and there is a section in English. One thing to be aware of is that the spaces are still very limited. 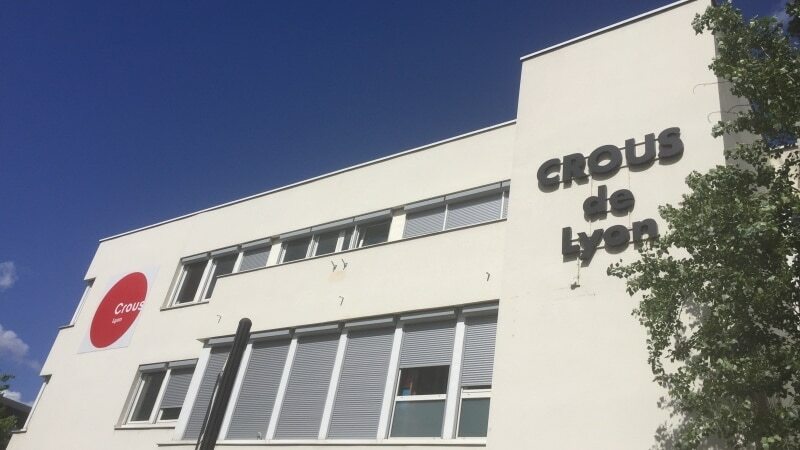 The CROUS has 27 university residences in Lyon and in its greater vicinity as well as Villeurbanne, Marcy-l’Etoile, Saint-Etienne and Roanne. These residences welcome students under various criteria, foreign individuals, scholars from the French government, re-searchers etc. Certain spaces are entirely reserved for specific individuals. The rental agreements are for a period of 10 months from August 31st to June 30. Regarding housing aid, these spaces are reserved for subsidized housing under the CAF and ALS. The rental agreements are for a period of 12 months from September 1 to August 31. Regarding housing assistance, these spaces are reserved for the CAF and the APL. Rates: from 128 to 305 euros per month for a traditional residence. Deposit/guarantor: A deposit of one month’s rent and a guarantor who lives in the European Community is required. 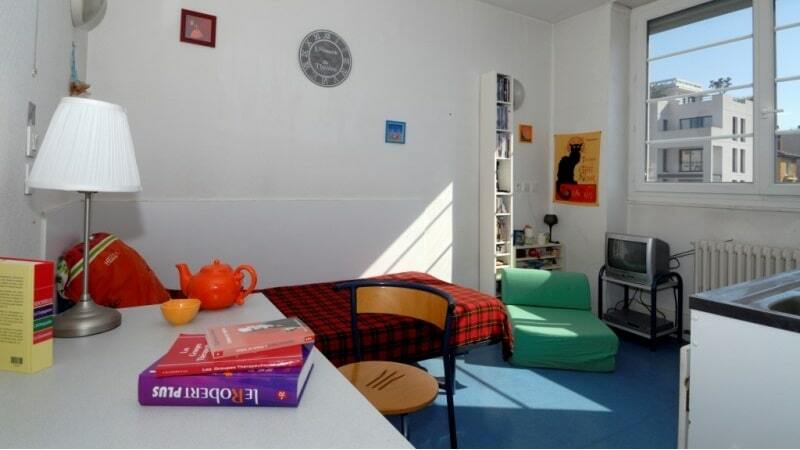 The CROUS also offers temporary housing, with shorter rental periods throughout the year. For temporary housing, download the Request form and send it back completed fifteen days before your arrival. You will then be informed as to availability. • Basic rooms: 9m2 to 10,5 m2 (showers, kitchenette and communal bathrooms) renovated or not. • Rooms or Studettes: 9m2 to 12m2 with private shower and toilet, fridge and possibly a micro- wave. • T1 or Studios: 12m2 to 20m2 with shower, toilet and private kitchenette. Certain residences offer housing which is adapted to the needs of persons with limited mobility. 59 rue de la Madeleine 69365 Lyon 07- Tel: 04.72.80.13.26 or 13.37. First of all, check with your school or university if they have a Campus Residence in Lyon (EM, Catholic University, INSA, ENS have their own residences for instance). If not, you might want to try to find housing in a student residence. Student residences are establishments which offer studios or other furnished apartments which in most cases have a kitchenette and all the necessary comfort needed (Wi-Fi etc…). Depending on the residence, services such as: maid service, laundry service, parking, etc. can be made available. How to find a furnished studio or an appartment? Whether you are searching for a furnished apartment or a roommate, here are the items you will need to for your file (do not forget to validate your documents). • photocopy of your student card or a school certificate (the one from the previous year if you do not have the new one yet). If you have not yet opened a bank account in France, you will probably need one in Lyon to pay for your rent as this will be through a bank transfer. You will also need it to pay for gas, electricity, purchase a mobile (cell) phone and maybe for access to government aid (see CAF section below). In France, the search for housing includes many formalities (proof of income, French guarantor, French bank account…). Sharing is often favoured by the student population as it permits them to live in a furnished apartment, and possibly live near their university and to not be alone. Many students can feel isolated when moving to a new city. Sharing also permits students to divide the costs of utilities and extra charges with others which lowers monthly rental costs. For foreign students, trying to find a sharing arrangement is harder than finding housing in a student residence. One of the possibilities of types of housing suggested to foreigners who come to Lyon is to share with a family. You live with a French family who will have been carefully selected beforehand. Living with a family allows you to make good progress in learning French, and understanding French culture and lifestyle. It is also the only way to meet French people and to better understand the country. This way, you are freed from many material constraints since you arrive in a furnished room waiting for you, instant WIFI, no deposit to be made or guarantor needed. A good host family is before anything… welcoming and has the desire to make the foreign student feel welcome and at home. Many formulas are possible such as: bed and breakfast, half board or full board. It can also be a good “waiting solution”, you can decide to be hosted for a family for a few days and then try to find a flat from here. You can find families on www.homestay-lyon.com. The principle is simple: an elderly person who agrees to open its doors to host a student at a great price. In exchange for this form of budget accommodation, the student provides a reassuring presence to the elderly, including most evenings and weekends. In Lyon, the service ESDES Services Inter-Generations is matching students seeking housing and the elderly in exchange of presence and services. Students are selected via a personal interview to explore their motivation and know-how or experience. The student will have to have a great capacity for listening and sharing, openness and a desire to serve. This hosting service is open to foreign students providing they speak French correctly to allow exchange with the host. Where to sleep while waiting for an accommodation? Or some other cool youth hostel… You can also try short-term rental apartment. How to get Government aid for housing? Students, regardless of their nationality, can make a request housing benefits at the Social Security office (CAF, Caisse d’allocations familiale). You must fulfill certain conditions if your request is to be accepted. A specific amount is deposited each month in your account in order to help you finance your rental costs. The amount will vary depending on your resources, the cost of the rent, where the apt is situated and the type of housing (if you rent at Cité universitaire or a student residence, mention this). You can apply for housing aid as soon as you find housing. You can ask for paper copies of the application or fill them out online. In this case, after having filled out all the information, download the form and print it. Sign the form(s) and send it by post to the CAF accompanied by supporting documentation. Students whose housing is managed by the CROUS, l’INSA and EM must pick up and deposit their request directly to their residence. For everyone: Information you will need to fill out the form. • You must fill out the following forms: available in hard copy or electronically on the CAF’s website. • You must also attach the following to your application. a photocopy of your identification card (both sides). • proof of university registration. • if you do not possess a visa or residence permit (ie Algerian students especially): a photocopy of the visa or the official receipt of the visa request. A new generation of hotels or youth hostels have sprung up in Lyon, inviting travellers to delve into a vintage and designer world.